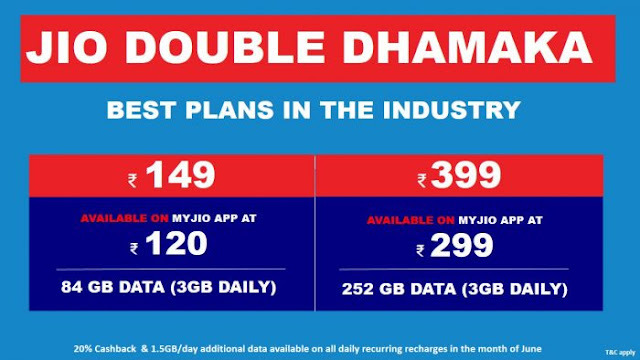 Jio's new Double Dhamaka offer is now available for all prepaid customers and it will offer additional data to users. Under the new offer, Rs. 149 plan will offer 3GB per day daily data limit. Reliance Jio has launched its ‘Double Dhamaka’ offer in order to compete with rival Airtel, which had recently revamped some of its plans. Jio prepaid customers purchasing new plans will get 1.5GB additional data this month starting 4PM today. The offer is valid until the end of this month (June 30, 2018). Jio ‘Double Dhamaka’ offer comes right after Airtel started offering 1GB extra 4G data on Airtel Rs 149 and Airtel Rs 399 to select users. Reliance Jio’s offer is valid for all prepaid users on the network. As part of this offer, Jio plans with Rs 149, Rs 349, Rs 399 and Rs 449 will give users 3GB daily 4G data as opposed 1.5GB data. Similarly, all 2GB / 3GB / 4GB / 5GB daily data prepaid plans from Jio will now offer 3.5GB / 4.5GB / 5.5GB / 6.5GB data respectively. Indian telecom operator Reliance Jio today announced the Jio Double Dhamaka Offer, giving users an additional 1.5GB data per day on all plans starting from the basic Rs. 149 plan up to the Rs. 799 plan. The offer has been introduced to compete with the new plans from other operators. Reliance Jio’s Double Dhamaka Offer is mainly aimed at Airtel which has been increasing the daily data limit on its popular plans to gain an edge over Reliance Jio which had disrupted the Indian telecom market with its highly competitive plans. Under the Reliance Jio Double Dhamaka Offer, the company is offering an additional 1.5GB data per day to all users who recharge between today and June 30. 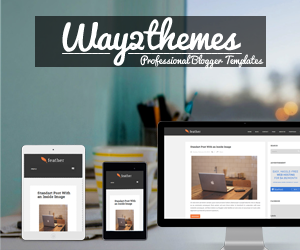 This offer is applicable on all plans ranging from Rs. 149 to Rs. 799, including the popular Rs. 399 plan. Additionally, the company has also announced that all recharges in the month of June will be available with 20% cashback. While the company has said that the offer will be available on new recharges only, we found a voucher in the MyJio app that will allow you to use this benefit on previous recharges also. To claim this voucher, open the MyJio app and click on My Vouchers at the bottom. You will find a 1.5GB/day add on in the My Vouchers section and once you click on Redeem, you will get an additional 1.5GB data per day. Thanks to Jio ‘Double Dhamaka’ offer, Jio Rs 149 plan is discounted effectively at Rs 120. Since it offers 3GB data per day for 28 days, users end up availing total 84GB data with an effective cost per GB of Rs 1.5. Similarly, Jio Rs 399 3GB data per day plan is discounted effectively by Rs 100. However, it comes with a longer validity of 84 days, resulting in total 252GB data with an effective cost per GB of Rs 1.18. All Jio plans offer unlimited voice calls (local, STD and roaming), 100 SMS per day and unrestricted access to other Jio apps and services. Airtel recently started offering Airtel Rs 558 prepaid plan with 3GB data per day for 82 days. As a result, Airtel Rs 558 plan ends up providing 246GB 4G data during the stipulated period with a cost per GB of Rs 2.26. Other standard benefits include unlimited calls and daily 100 SMS.